Superdry men's Dry Originals overhead hoodie. 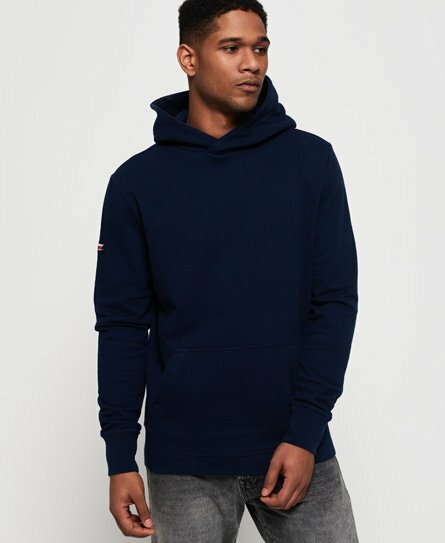 This classic hoodie features a ribbed hem and cuffs, large front pocket and has been finished with logo badges on the hem and sleeve. Style with slim jeans and trainers for an effortless look.